Challenge - Keep up with technology and maximize your IT budget. Challenge - Coordinate in and out of office employees. Challenge - Effectively coordinate busy, diverse call centers. Your small, flexible business needs to be able to access tools that large enterprises do, while maintaining agility in the market. Forward Slash Technology and MITEL offer these tools to all of our clients, according to their business needs. Small and Medium sized businesses are the country's backbone, and we know staying competitive while overcome the challenges for your market can be the biggest challenge of all. Let us help you find unique ways to keep your edge. Your company is doing something right to be so successful - probably a lot of things. But size can make communication difficult. We offer several enterprise solutions that will help keep your company on top and technologically up to date. Forward Slash Technology provides VOIP, or Voice Over Internet Protocol, services to their clients through our partner network with Mitel. Mitel provides solutions that support the free flow of communication, regardless of a company's location or infrastructure. As a Mitel partner, we help your company use communication tools in the most simplistic, cost effective manner. By utilizing your existing data connection, we enable our customers to transmit all communication over their network. Many businesses are using VOIP services in place of traditional phone systems because it can offer a significant cost savings and it allows businesses to take advantage of a number of special features. Because there are a number of different features that can be included in VOIP services, businesses must consider their individual company needs before determining which VOIP service is best for them. Forward Slash Technology offersMitel VOIP consulting services to help businesses select Unified Communications that fit their needs. We also offer support for new and existing VOIP customers such as system installation, monitoring or maintenance services. The strength of our Mitel partnership helps our customers stay ahead of the curve. To learn more about our IP Telephony services and to determine if using a Mitel network is best for your business, contact our St. Louis IT company. At Forward Slash Technology, we offer consultation, installation, and support services for businesses that are switching to new VOIP phone systems or are using existing VOIP systems. With our VOIP consulting services, we can connect businesses with the right Carrier Service Providers to meet their needs. If you are interested in signing up for VOIP services, but do not know exactly what services will meet your businesses needs, we can help. Our VOIP consulting services will help you by reviewing and determining your specific VOIP service requirements. Therefore, with help from Forward Slash Technology, you can easily determine and buy the right VOIP solution for your business' needs. In addition to helping businesses locate the best Mitel IP Telephony service provider and determine the right VOIP services for their needs, we also sell VOIP systems directly to businesses and offer VOIP system installation services. We can setup new VOIP phone systems for businesses and companies with offices across the country. If you are moving to a new office or want to purchase and set up a new VOIP phone system for your office, contact us to learn about Mitel VOIP systems and to schedule your VOIP phone system installation. With our VOIP phone system installation services, we can install or set up a VOIP system from any provider. As a leading IT company with experience working with VOIP phone systems, we also offer support services for businesses that have existing VOIP systems. Our IP Telephony support services include everything you need to set up or properly maintain your virtualized service. Whether you have 10 or 1000 employees, we can install, troubleshoot, and monitor your VOIP network to ensure optimal service and resolve issues as they occur. We can also provide online support in which we remotely logon to your VOIP system in order to locate and fix problems and ensure a high quality working phone system. In addition to helping businesses select and locate the best VOIP services, we also offer support services for businesses that choose to use VOIP services. Our VOIP support services include everything you need to set up and maintain your VOIP service. Whether you have 10 or 1000 employees, we can install, troubleshoot, and monitor your VOIP network to ensure optimal service and resolve issues. We can provide online support in which we remotely logon to your VOIP system in order to locate and fix problems and ensure a high quality working phone system. For many medium to small businesses, your company phone system is a powerful communication tool and central to business operations including connecting with customers, suppliers, and partners. 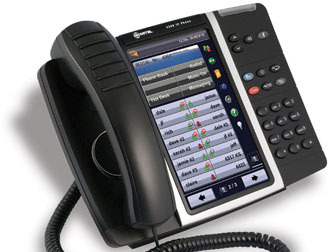 Therefore, it is important to carefully consider your needs for your phone system. Many businesses will find that a VOIP network is the best choice over traditional phone service. Often using VOIP systems can allow you and your employees to communicate with customers and suppliers while providing significant cost savings.